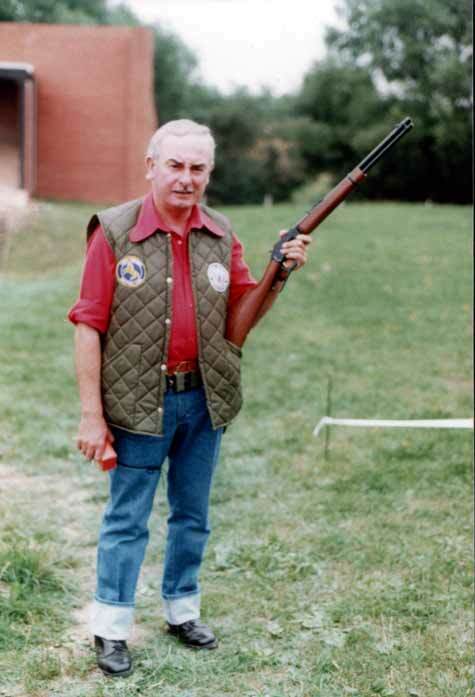 I found this photo of Roy Williams (RIP,) taken at the range at Saeton Camp just outside Chester; Roy looks a little puzzled as to why someone would want a photo of him ! Roy was a Scenes of Crime Officer (knows then as a “SOCO”) with the police, and he founded Phoenix Shooters Association at the end of 1977. We shot at Saeton (now closed) two or possibly three times while Sealand was undergoing some refurbishment. This was in the late 1970’s or very early 80’s – the records are a little unclear around this time. Our Founder, Roy Williams (RIP) at Saeton Camp in the late 70’s or early 80’s. ….. and yes, fashions were a bit different then…..